Adsense is no doubt the best way to monetize a website, there are also many adsense alternatives out there that are worth trying. Webmasters opt for alternatives to adsense due to their strict approval policy and laid down rules that has to be followed to keep the account or they get suspended at any slightest mistake. Many of the so called alternatives are truly non matched with Adsense, however, some are worth trying. The key factor for earning decently from any ad network is traffic, without traffic there won't be a considerable earnings. This is one of the few adsense alternative ideal for new bloggers/webmaster. 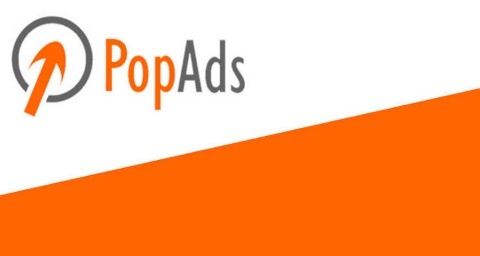 PopAds is a pop-under ads network, it offers high CPM from 0.60 to 3.00 depending on web traffic source. The good thing about PopAds is the no minimum traffic requirement, quick registration and approval process, registration approval process takes about 24 hours or less. PopAds offers a considerable low payout threshold of $5 which is payable via Payoneer, Bank Transfer, Paypal and Payza. Chitika is a contextual ad network worth trying for new bloggers. Chitika offer low CPC compared to Adsense. Their approval process is quite easy as it does not require high traffic for approval. Chitika offer various ads type of different dimension and it is compatible with all niche type. Another good thing about Chitika is their low payment threshold of $10 PayPal and $50 via cheque compared to $100 of Adsense. Bidvertiser is one of the best alternatives for adsense, bidvertiser offers Pop up ads and Pay Per Click (PPC) banner ads of different dimmension. They have a good PPC rate of 0.10 to $1. The good thing about Bidvertiser is that on registration you get instant approval to start displaying ads on your website. Bidvertiser payment threshold is considerable low, $10 payable via Paypal and $50 dollars for cheque. With Bidvertiser, you never get banned and you never loses your earnings. To get the best out of the several Google Adsense alternatives available there are some things which you need to put into consideration. 1. Niche - Some ad network perform better than others based on the type of adverts advertisement display on your website. Before choosing, you need to know the one that best suits your website. For instance, Bidvertizer perform relatively well on Money, How To Make Money niches. PodAds and Popcash are ideal for download sites while Exoclick perform absolutely well on X-rated website. 2. Traffic - Even though these ad network doesn't have any traffic requirement, you must understand that if you don't have a decent amount of traffic, you might find it difficult to make a dime with them. 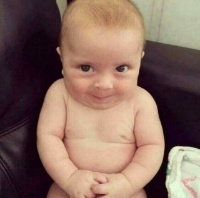 @admin I Have A Blogger Website , Can I Make Money Using It ? Because Some One Told Me That I Can't Use A .Blogspot.Com Domain To Register With Google Adsense And The Others. Well, in this digital marketing era, there is a wide array of methods and techniques that can suit your business’s promotional needs. For me PPC and facebook ads management services work best. I think that both these methods are extremely useful as well as quick. Yes, you can register for Adsense with your .blogspot domain. That type of Adsense is called hosted Adsense account and it is very easy to get approved.